The Oaklands Park-based club, which fields three teams in the East Sussex Football League and boasts a sizeable youth section, has had its FA Charter Standard accreditation elevated to Community Club status. Sedlescombe join an exclusive group of only three clubs in East Sussex and nine in total across East and West Sussex to hold Community Club status. Achieving Charter Standard status of any level is a challenge in itself, with very stringent guidelines set by the FA. Within the Charter Standard structure there are enhanced levels of accreditation that clubs can work towards, with each level building on the requirements criteria. Sedlescombe have held the second tier of accreditation, Charter Standard Development Club status, for the past four years. But having further expanded the club’s reach across a broader diversity of players, Sedlescombe were last week awarded Community Club accreditation - the flagship award reserved only for the top tier of grassroots football clubs. To reach Community Club status, clubs have to demonstrate continuous excellence by meeting the stringent demands set by the FA that focus on a number of key areas, including player, team and coaching diversity and breadth, high levels of coaching accreditation, rigid safeguarding and welfare management and oversight, and general all-round comprehensive administrative control. Reaching this coveted level with the FA is a huge success for any club and clearly demonstrates its desire to ‘lead the way’ in footballing excellence by setting an example to all other football clubs. Sedlescombe chairman Nick Gardner said: “Having been involved with grassroots football for over 40 years, I can confidently say this ranks as one of the greatest achievements that I have been part of. 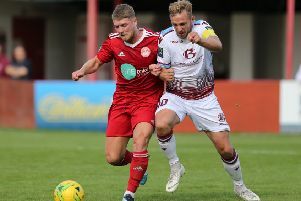 Sedlescombe are also experiencing on-field success, with a number of the club’s youth teams challenging in their respective divisions and the adult first team set to feature in two cup finals this month. 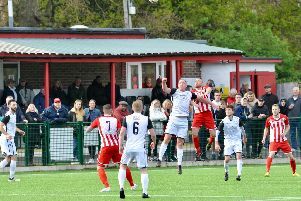 This all comes following plans revealed by the club last year on its vision to move the first team into the National League System Structure (NLSS), and continue to grow the profile and stature of the club. Having grown from humble beginnings 38 years ago, Sedlescombe are now a well-known and hugely respected club within the local and much wider area.